The liquor of the west. From the plains of America to the hills of Scotland, Whisky has a special place in many people’s hearts. The love an American man feels for bourbon or a Scotsman for Scotch Whiskey is a powerful thing and one not to be taken lightly. One thing to look at is what is used to distill whisky. From the stills themselves to the pipes the whisky runs through before its casked, it’s all made of copper. The best whiskeys in the world all run through copper pipes, distill in copper vats made of copper sheeting, and eventually end up in copper mugs. The reason for the use of copper as opposed to stainless steel or another metal is simple, taste. Unlike any other metals that could be used, during the fermentation process the sulfur binds itself to the copper making hydrogen-sulfide which in turn forms copper-sulfate. The copper sulfate sticks to the inside of the still after the distillation is completed. After a cleaning of the copper still the copper sulfate is washed down the drain and not into the whisky. The other reason copper is used is because it’s a great conductor of heat: dispersing heat evenly across the entire surface of the metal and creating a more even distillation. 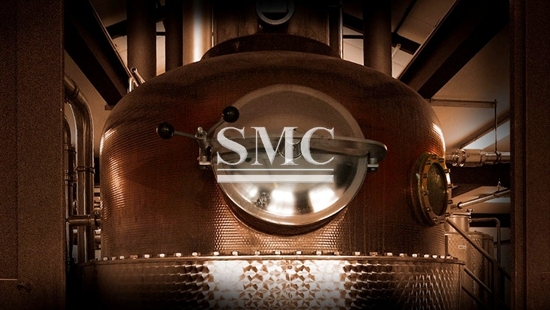 Copper Stills are not only functional but beautiful works of art many distilleries take pride in their copper Stills often using them as a center piece for tours.Here at Shanghai Metal Corporation, we pride ourselves in providing the world with quality copper products at competitive prices. For more information about our copper products, global shipping, and exceptional customer service, please visit our website here, or reach out to us on Twitter @Shanghai_Metal, Facebook, or LinkedIn!